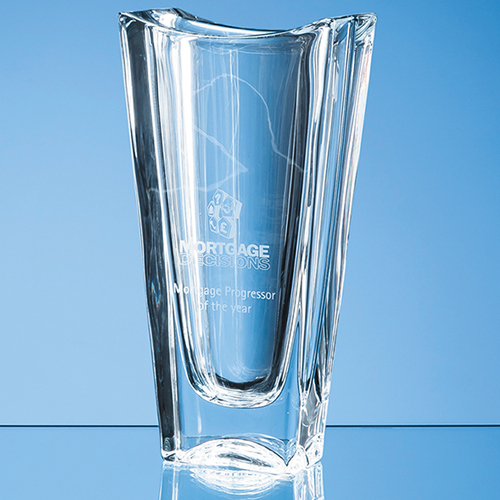 The stylish Crystalite Okinawa Tapered Vase is elegant in design and is perfect for presentation as an award or personalised gift. There is a large engraving area that can be personalised with any crest, logo or wording to create a agift that is sure to take pride of place when put on display. The vase is also available in a larger size.